A Brief History of Churches and The Salvation Army. There are many different churches and denominations, but all have the same basic calling – to worship God, to share the good news about Jesus Christ and to work for the good of all people. The Present Building dates from the 12th century when the nave was erected. The chancel was built in 1420 replacing the former rounded east end of the church. The chancel arch was replaced by timber in about 1615. A major restoration was completed in 1897 when the original walls and fine timbered roof with its beautiful truss and king post were revealed. Although the porch is modern, it has a reset 14th century archway. The holy water stoup in the wall was discovered by workmen early in the 1900’s. The massive door is of oak with plain strap hinges and a stock lock of the 17th century. 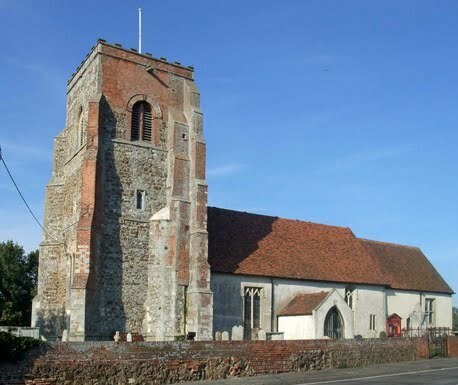 The tower is in three stages, the lower two of the early 15th century and the top of early 19th century brickwork. In 1993, the tower was stripped of its outer covering of deteriorating Victorian plaster and recovered m originally with a Medieval-style mix of lime and horsehair. The tower houses two bells, the tenor made in 1380 by William Burford and the bass bell made in Loughborough in 1572 by Robert Mot. The same firm re-tuned the bell in 1958. The tower clock was made before 1740 and was repaired in 1959 and in 1994 when the clock face was repainted and re-gilded. Also, in 1994 the mechanism was adapted to stop the clock chimes from sounding during the night. Early in 1941, during the Second World War, the Prime Minister, Winston Churchill, visited Dovercourt and climbed the tower to view anti-invasion defenses. In 1987 a new building was constructed to the north of the church with access from the nave by way of a 14th century doorway. This new building houses a vestry, kitchen, small meeting room and a larger “family room” used for church functions. On the north wall of the family room hangs a modern tapestry of the Holy Family. 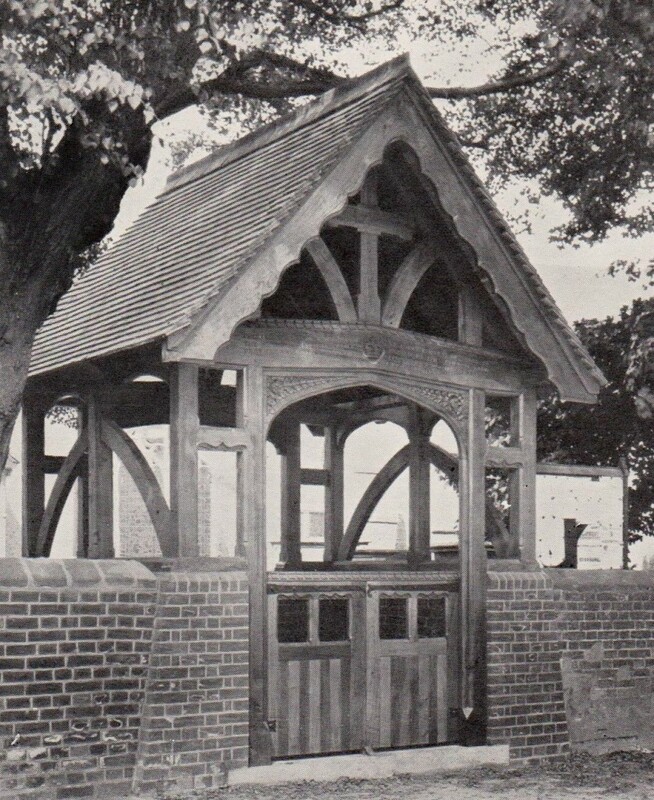 All Saints Church Lychgate was officially opened by Sir William Gatade on 22ndJanuary 1899. Made of English oak on a brick-base wall, the front had an entranceway of moulded oak posts and arched head. The centre upright has a horizontal piece framed into it, forming a cross with the words ‘Blessed are the dead, which die in the lord. On the main beam is the inscription ‘Erected by Her Majesty Queen Victoria, Empress of India, to the memory of the British soldiers buried in this churchyard, particularly those who died from a disease contracted during the Walcheren 1809-1810 Expedition’ the Lyhcgate was designed by Architects J.E.K & J.P.Cutts of London and built by local builders Saunders of Harwich. a stained glass window which was a gift of the German emperor was also a memorial to soldiers Buried in the churchyard. On the north wall of the nave is a memorial recording the names of 136 from the Parish killed in the Great War and 130 in the Second World War. Over the door to the vestry is a royal coat of arms of George III made during his reign in cast iron by Wallis and Coleman of Colchester and restored in 1981. On the south wall of the nave, between the porch and the tower, is a board recording the names of incumbents of the Parish dating from the first known, William Frauncke, instituted in 1280, to the present Rector Stephen Hardie instituted in 1992. The font is mid-14th century and was discovered in a nearby farmyard where it had been used as a cattle trough. The fine beam over the entry to the chancel has Jacobean carving. It originally supported a Rood, or crucifix, to which many pilgrimages were made. The rood was destroyed in 1532 by three men from Dedham and one from East Bergholt who disbelieved the miraculous powers with which it was held to be endowed and objected to its veneration. Three of these men were hanged for their deed, one escaped. The west window is of about 1400. The stained glass depicting Christ healing the Centurion’s Servant was given by Kaiser William, II in 1900 in memory of the soldiers who formed the German legion and died with their British comrades in the Walcheren Expedition 1809-1810. This joint expedition was fitted out in 1807 to help Austria in her struggle against the French under Napoleon. The men had been sent to attack Antwerp but contracted fever on the nearby swampy Island of Walcheren. German and British soldiers who died in Dovercourt are buried together in the churchyard. The 12th century window on the south side of the nave, near the tower, was unblocked in 1958 and re-glazed with a window showing Christ the Good Shepherd. Similarly, on the north side a 12th century window was unblocked in 1974 and re-glazed with a window showing Christ in blessing and the portcullis from the arms of the ancient Borough of Harwich. Except for the east window which is modern, the other windows date between the mid-14th and 16th centuries. They all contain late Victorian or Edwardian stained glass depicting various scenes from Our Lord’s Life. To the north of the font Our Lord walking on the waters, to the south the Baptism of Christ. In the nave on the north Christ blessing the children, on the south the parable of the sheep and goats in one window and the parable of the prodigal son in another by the pulpit. In the chancel on the north side a smaller window showing Naaman cleansed of leprosy and a larger one of the Adoration of the Magi erected to commemorate the restoration of the church and the Dia­mond Jubilee of Queen Victoria in 1897. South of the chancel are two windows a smaller one by the pulpit showing Christ curing the leper, the other the Adoration of the Angels. In the sanctuary to the north a window showing the Resurrection, to the south the Annunciation to the Blessed Virgin Mary. At the far end of the churchyard lies buried Captain Charles Fryatt, master of the Great Eastern Railway Steamship “Brussels” executed by the Germans at Bruges on 27th July 1916. His coffin was carried from Dovercourt station to the church on a gun carriage. To commemorate him the Fryatt Memorial Hospital was opened in Dovercourt in 1922. 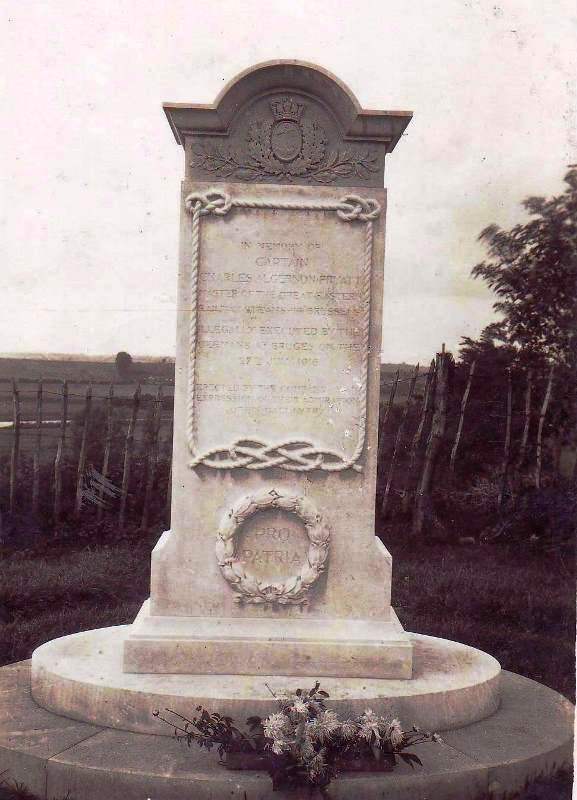 To the north east of the church is the grave of the British and German soldiers who died after the Walcheren expedition. A little to the north east of this spot are graves of some who were drowned in the shipwreck of the SS Berlin off the Hook of Holland on 21st February 1907. The heroic actions of the Dutch seaman resulted in the rescue of 15 people from Berlin – six women and four male passengers plus five crew. Sadly 128 people were drowned within a short distance from the shore. Another Memorial is to brave Steward Moor, who died rescuing a child when the ss “Berlin” sank. As you enter the Peninsula the first church you come to is the medieval “Church on the Hill”. The Church dates back more than 900 years, the tower houses five bells and once had a clock together with a sundial on the south face. By 1938 the tower was in a poor state of repair and £3,000 was raised through fundraising some twenty years later, the west wall was demolished and rebuilt.In February 1978 a new organ was installed built by G.T. Wilkins Ltd of Brightlingsea and was dedicated to the memory of Frank Ellis who had been the church organist for over half a century. In the 12th Century, the main part of the original church was built. The north doorway and the small window to the right of it (as you look from the entrance porch) are Norman. In the 13th Century, the main part of the original church was improved in the Early English style. A picina, to hold Holy water (by the pulpit) was added, and the staircase (above the organ console) was built to connect to the rood loft (from which minstrels used to play).Improvements in the decorated style were added in the 14th Century. These were two north and two south facing windows in the nave. Remember that we are talking about the 1300’s, when no tower or chancel existed. The 15th Century Perpendicular style followed, and this era saw the tower being constructed, the doorway (by which you enter the church) being decorated with figures of Our Lady; representing her coronation and the Holy water stoop being used. The font dates from this period. Note the shields and scroll design, a local trademark.The Tudor 16th Century saw the building on of the chancel, with large simple windows above the main altar. The roof dates from 1547. The window by the pulpit was added at this time. The 17th Century saw the construction of the intricate Jacobean pulpit – a real treasure. The 18th Century saw the first rebuilding of the tower, with a belfry, lattice windows inserted and battlements added. The bells would have been rung during this period and on into Victorian times, of course.The 19th Century Victorian era saw much rebuilding of the nave floor. Perhaps, fortunately, no stained glass windows were inserted. The 20th Century has seen additional tower rebuilding work – the latest repair and renovation having been completed in 1995, the addition of six wrought iron lanterns in the nave and one in serious road accident.The seating inside, under the organ pipes, has been altered recently to allow an informal children’s area to be created.And in the 21st Century we now have an extension on the north side of the church, a small room for meetings and facilities for extending the work of this church into the community. Few of the guests gathered for the wedding at St. Nicholas Church, Harwich on 23 December, 1593 would have had any inkling that the bridegroom was to become a figure of international and historic importance. The young mariner was Christopher Jones and his bride to be, Sara Twitt, the 17-year-old daughter of his neighbour across the street. for Jones it was a good match, since his father-in-law was wealthy with strong shipping interests. By the time of the wedding Christopher’s own father (also Christopher) was already dead. Jones Junior had received a bequest, to be inherited at the age of 18, of his father’s share in the ship Mary Fortune. Widow Sybil Jones married Robert Russell after her first husband’s death and continued to live in the family home in Kings Head Street. 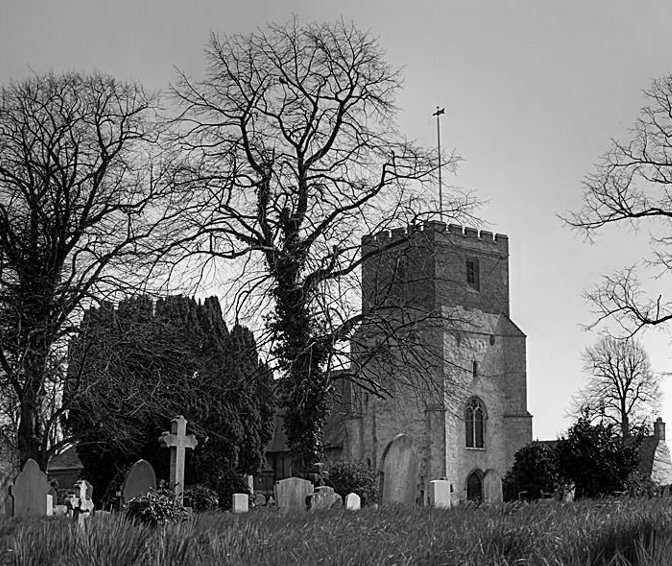 The medieval chapel of St. Nicholas, having fallen into ruin, was demolished in 1819 and M.G.Thomson, architect, of Dedham was commissioned to design and build a new larger church at a cost of £20,000, to be raised by public subscription. The new church Containing the monuments and font from the old one, was consecrated in 1822 by Dr.Howsley, bishop of London, whose coat of arms with those of the borough and the mayor adorn The three east windows. built from London Brick and Coade Stone in a perpendicular style. Seating was provided for 1,500.The new of London, The splendid gothic organ case, flanked by the cage, makes the centerpiece of the west end, with the royal arms of George IV, who contributed £1,000 to the building fund, on the front of the gallery. There is also a mayor’s pew at right angles to the nave pews, complete with red velvet Cushions and a mace rest, the east end forms an apse with three large windows, Behind the Altar is a painting of Moses giving the law, purchased in 1700. There has been a church here since the Middle Ages. The present church has slender pillars of cast iron, a new form of construction in the 1820’s. At the west end of the church is an unusual display of blue and white Dutch tiles from the 17th century, depicting biblical scenes. St Nicholas; is the scene of civic services, and has a special pew for the mayor, with a bracket for the town mace. Seen from the rear in this view early in this century. A lot of greenery can be seen from this angle, particularly surrounding the vicarage on the right hand side, which was built on the site of the old workhouse and then Cobbold’s brewery. A guidebook of 1925 is rather unfairly dismissive: ‘St. Nicholas Church dates only from 1820 and is of little interest’. However, a church has been on this site since the 12th century but, by 1819 it was in such a state of disrepair that it was ordered to be demolished. A new ‘chapel’ was erected at a cost of £20,000 in the early 1820s, featuring a tower with 8 bells and a spire, the church could seat 1,500 and has many interesting features including the aerial German torpedo which could easily have devastated the church in 1917. The south transept contains a Children’s Corner dedicated to the memory of the 241 crew of H.M.S. Fairy who perished when their vessel was lost of the suffolk coast in December 1887. The church registers record the marriage in 1593 of Christopher Jones, Captain of the “Mayflower”, which in 1620 carried the Pilgrim Fathers to America. 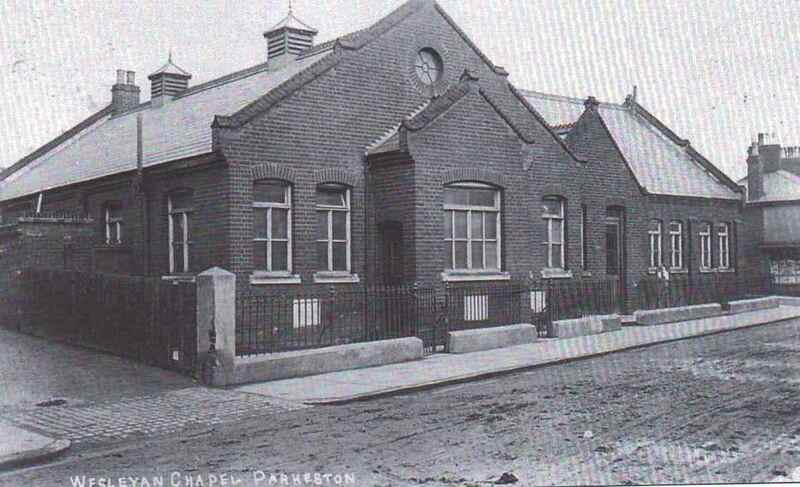 The Chapel in Church Street was completed in 1829 at a cost of £2,900, extensions in 1883 increased the seating to 500, Beneath the main chapel was a Sunday School room. The reason the church is to be closed, said the superintendent minister, the Rev L.G. Holding, was the dwindling and ageing congregation. The building is too big for present requirements, and it was an inevitable part of modern rationalisation and concentration to work in the town he said. The last service was held on the morning of Sunday, June 15 1969. The building was demolished in 1973. Bought from the Methodists over 150 years ago the Ebenezer Chapel is thought to have been originally been a malting. The Baptists originally rented the church from the Methodists, until they brought it in 1840. The interior of the chapel, which is larger than the exterior, would make it appear. seating was provided for 350 worshipers, there was also a large skylight roof which was a major feature of the buildingCongregations at the chapel were not as large as might be liked, but the chapel did run a Sunday school which was attended by about 25 children, and about the same number attended the Thursday Women’s Fellowship. 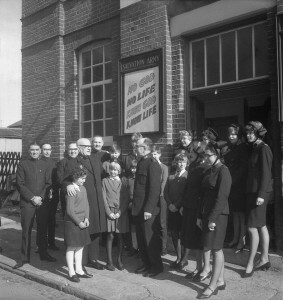 Falling attendances and the need for major repairs to the building lead to the chapel’s closure in 1967. This led to a change of use and the building became a Ship’s Chandlers and continued to trade until 2014 when it was sold for residential purposes. 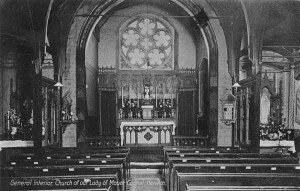 The Church of Our Lady of Mount Carmel was built in 1869, and the adjoining Presbytery was built by Mr. T.J. Moran, of Dublin. Founder of the Harwich Catholic Mission was the Rev. Thomas Parkinson who came to Harwich in 1864, the church was officially opened by Archbishop Manning on the 3rd November 1869 at a cost of £ 13,000. It was described as ‘a small edifice of brick in the late decorated style and built from the designs of E.Welby Pugin’. Dedicated to our Lady of Mount Carmel. The House of the priest was adjacent, as was the school. St.Joseph’s School was built joining the Church in 1896 and could accommodate 32 boys and 35 girls. 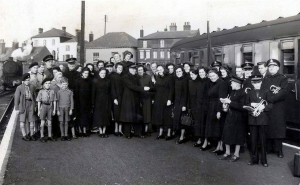 Seating was provided for 100 congregation, with the large build-up of military and naval personnel prior to the war the congregation multiplied. 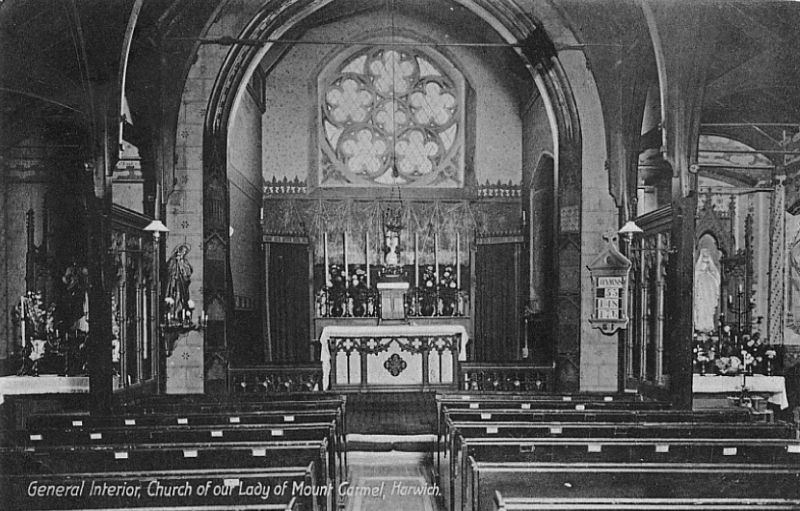 The church was eventually extended in 1918 which included changes to the altar which was moved to the east end of the building, facing the main road. Countess Tasker of Brentwood visited Harwich in 1863 and was astounded to find that there was no Catholic Church “in a seaport the size of Harwich”. The explanation from Archbishop Manning was financial, so she pledged £500 towards building a Catholic Church. Mass was initially celebrated at 10 Kings Quay Street as it proved more difficult than expected to find a site, due to much opposition to the Catholic Religion. 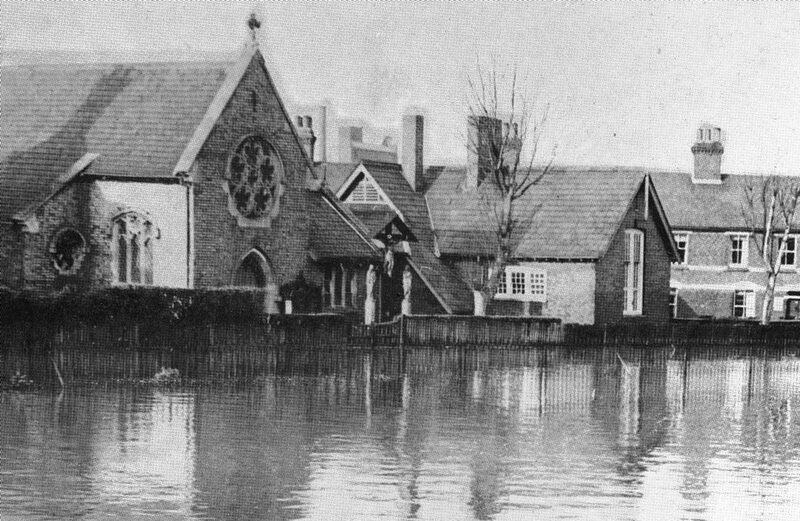 The church suffered damage during the wars and the end came in January 1953 when the church was flooded with 6 feet of water. An inspection of the church found the building was beyond economic repair, the church remained empty for many years until March 1962 when it was used as a car repair business, after the business closed the church, school and presbytery were all demolished to make way for a petrol filling station. When the present Kingsway Evangelical Church was built there were fields and trees where the Kingsway shops now stand. The busy junction of High-street and Kingsway now controlled by traffic lights was but a rural setting with cattle grazing nearby.Kingsway evangelical church was built in 1874 at a cost of £ 2,500 at the expense of Robert Bagshaw. Dovercourt Hall (as it was known in 1874) would take over the services previously held in the 200 seat Assembly Rooms at the bottom of Orwell Road which had proved inadequate for the increasing numbers attending there. The new building was in the Italian style with a 80ft tower at one end, and contained a hall capable of seating 700 persons.The name of the hall changed in 1932 to Kingsway hall. Robert was the son of John Bagshaw whose ambitious plans for a Dovercourt New Town in 1851 were only partially realised in the now grade II listed Orwell Terrace,the first service was held in august 1874 by Mr Robert Baxter. Mr. Robert Bagshaw had the church built – “in memory of his mother and sister who were drowned by the accidental upsetting of a boat in the River Hooghly, off Calcutta, October 19th, 1820” as the inscription in the church porch reads. The building could seat a congregation of 670 with a smaller hall beneath the church. From 1932 the church became known as Kingsway Hall and in 1948 changed to Kingsway Evangelical Church. in the 1950s Rev. Paterson had changed it to Kingsway Evangelical Church. Faced with a huge repair bill to the fabric of the building which the 90 strong congregation felt unable to meet, the church closed in 1984. The building was sold in 1985 and it was used subsequently as a market and as a carpet showroom until 1997. 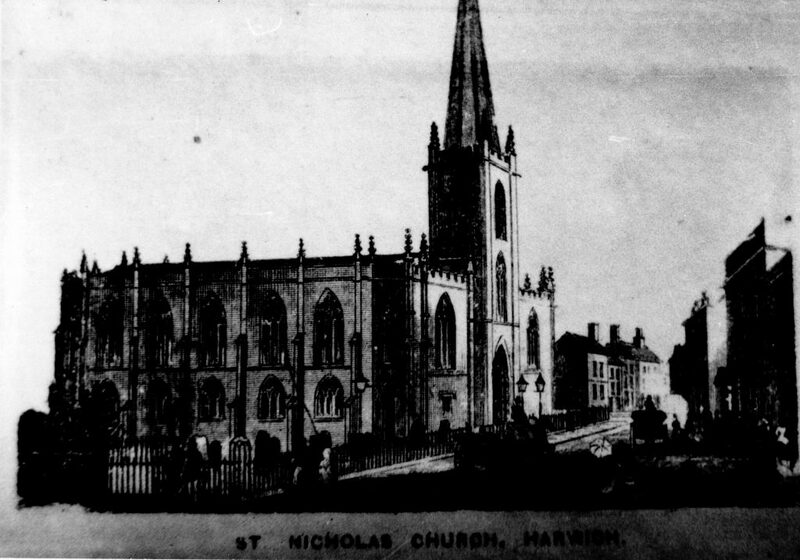 The Independent chapel opened in 1800 and Later changed name to the Congregational Church, the building backed onto George Street with main access from West Street via Chapel lane. 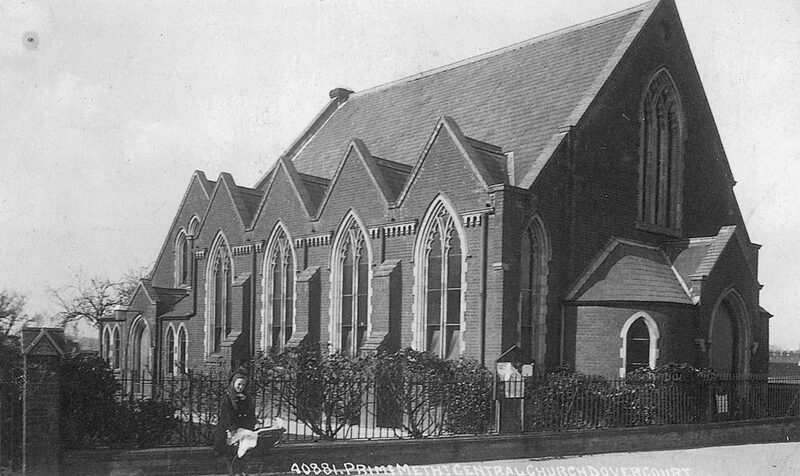 In 1883 the building was enlarged and seating was provided for 350, during the refurbishment services were transferred to the Harwich and Dovercourt public hall, the church reopened in 1898. 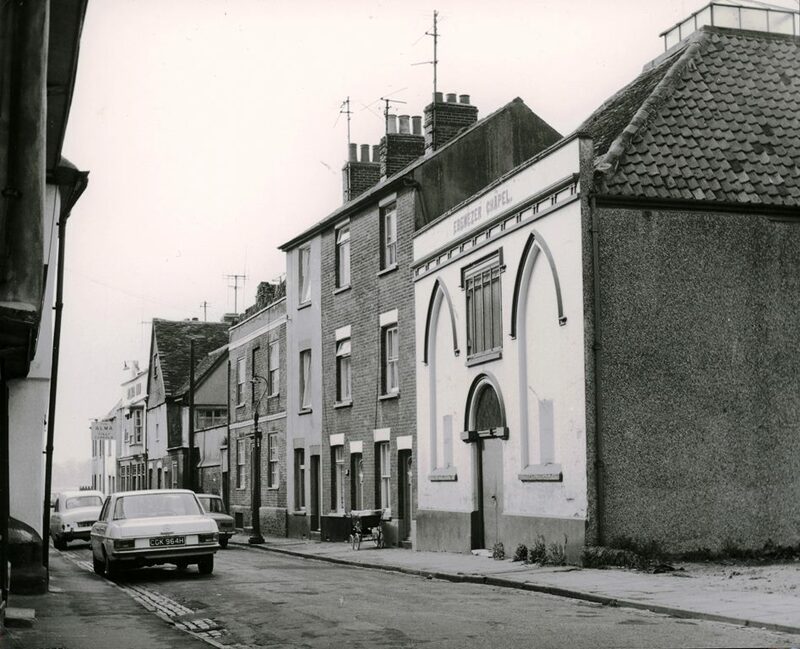 The building was purchased by tendring district council for re-development with the remain from the burial ground being moved to Dovercourt cemetery in 1976, the property was then demolished. 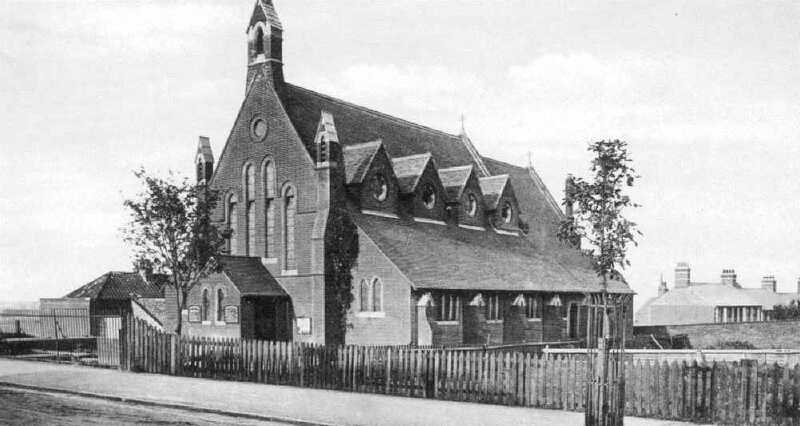 With the village of Parkeston expanding fast, the parishioners decided it was time they had their own church, The church opened its doors on the 13th June 1887.A new organ was purchased with donations from three anonymous directors in memory of the crew of the “Berlin” who had lost their lives in the 1907 disaster. During World War 2 the hall was used as a seamen’s mission, it was demolished in 1973 to make way for the current railway club. The Primitive Methodists were described as amongst the best of the non-conformists. With over 200,000 members and 46,000 Sunday school scholars nationally, local Primitive Methodists found their accommodation, a small iron building between Harwich and Dovercourt, inadequate. They purchased a site at the end of Park Road and Park Terrace from the trustees of J Bagshaw in 1894. The estimated cost for the church was £ 1,600. The memorial stone was laid by Mr Martin D. King, the ex-Mayor of Harwich; on the 12TH September 1894, the church was completed in May 1895 when the first service was held. The builders were local – Messrs Moran, and it was described as a ‘very handsome building to seat 300 people’. There was also a spacious schoolroom attached. The new 375-seat church had a short life; it closed in July 1936 with its congregation transferring to the Wesleyan Methodist Church. Coopers the tailors later used the building until the closed in 1964 when being taken over, outright, by C.H. Bernard’s. The real development in Dovercourt began in 1900 when Congregational services were held in the Victoria Hall, adjoining the Cliff Hotel. It was decided to seek a permanent site for a church and a plot was purchased in Cliff Road from Mr A H Ward. 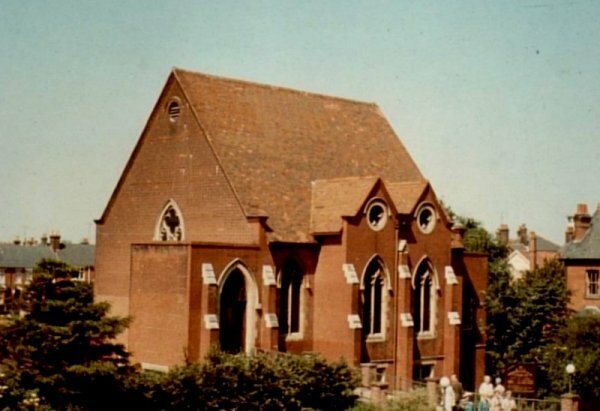 Because the site was extremely awkward being a former brickfield, the building was developed in stages, The Reverend Basil Ainstey, formally opened the original 2050 seat chapel on the 15th June 1904. 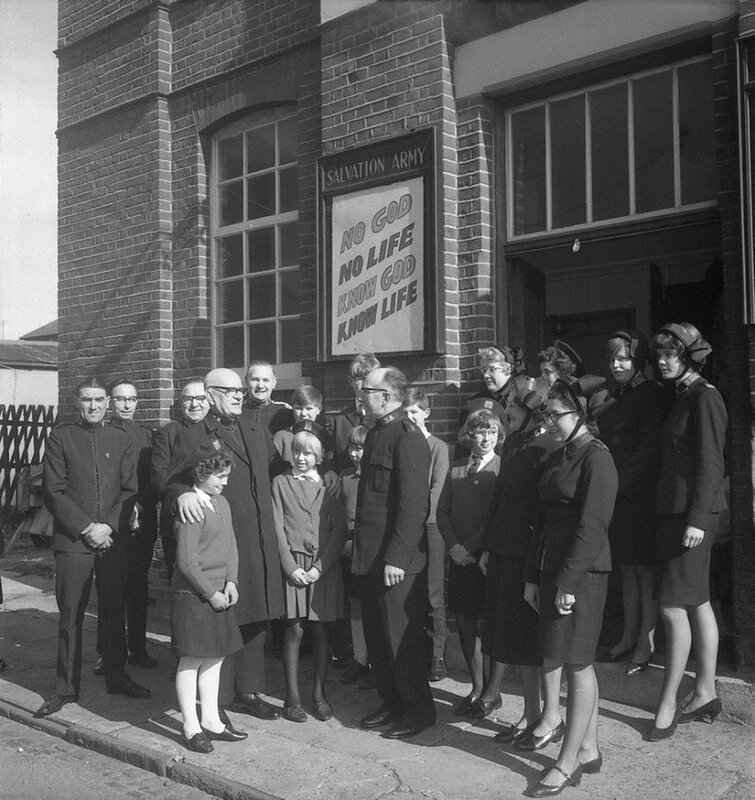 Funds were made available to complete the £4,000 project which increased the seating to 400, Leaving the chapel below to be used as a Sunday school, a hall for social events and as a youth centre. Over the years the building became increasingly need of repairs and after the great storm in 1987. The church and minister’s house were closed and demolished in 1988 to make way for housing. 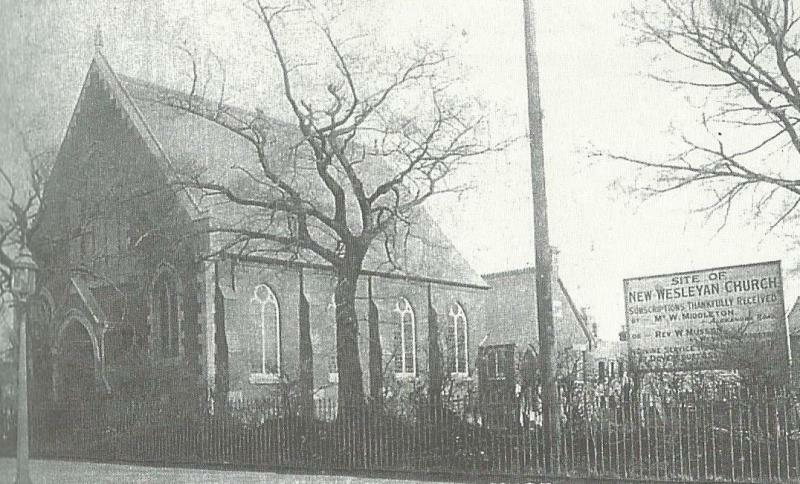 With the growing population in the 1870’s, a new church was needed in Dovercourt. Mr Gwynne, a major landowner, offered the site at the top of Hill Road on the Cliff Estate and the foundation stone was laid on 19 July 1883. The plan was to accommodate 500 people at a cost of £4000. Initially, a 200-seater section of the church was built at a cost of £1596 and the consecration service took place in March 1884. The Church received altar furniture from Mr A J Ward and a font courtesy of Mr J Gwynne. 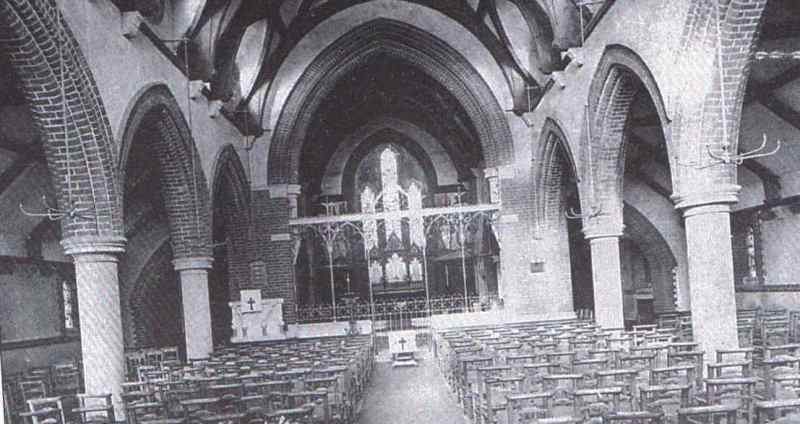 Additional accommodation followed the extension in 1888 and the individual seats, seen here, were replaced by pews. The Bishop told those gathered that the Church had been needed for a long time ‘seeing that the edifice raised by their pious forefathers was practically a mile away from the modern Dovercourt (referring to All Saints Church, built many centuries before when the community was developing in what is now Upper Dovercourt). The final plans envisaged a church seating 500 people but the first stage was for a congregation of 200. It was built on land of the Cliff Estate presented without cast by Mr. J. Gwynne. The first section was built by Dobsons of Colchester at a cost of over £500. The second stage of development saw a much enlarged and improved church reopened on July 7th 1888 which could seat an extra 100 people, although we are told that not much difference could be observed from the outside. The growing population and the regular influx of visitors to the town necessitated further development work. In July 1903 the Earl of Warwick laid the foundation stone for the third extension, this increased the seating to 500. The extension towards Hill Road can he seen above – two new bays were added to the nave and a baptistry was added which, at a cost of £1500. would increase the seating capacity to 500. Now under sentence of demolition, many people will be very sad to see this piece of Victorian heritage disappear. Structural problems led to it being rebuilt as a choir vestry in 1957 and a new porch built. Falling attendances led to the closure of the church and its Demolition in 1997 for housing. 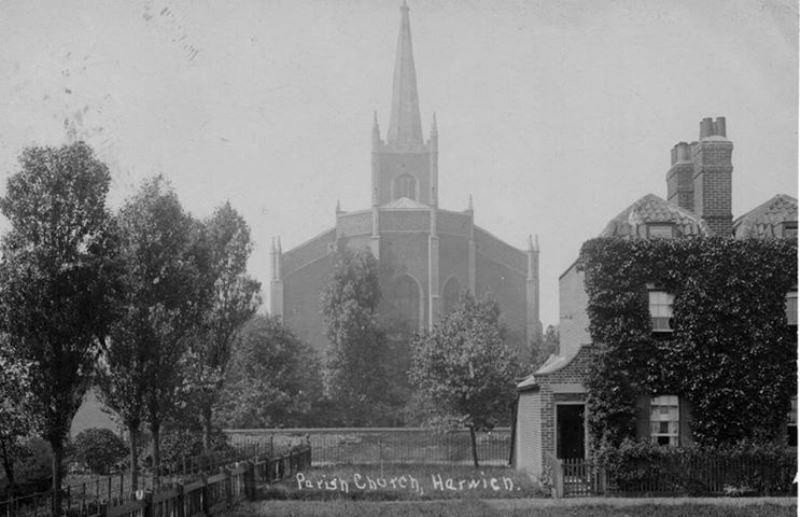 Methodism appeared to be going from strength to strength judging by the number of chapels at Upper Dovercourt (1866) and opposite the Dovercourt Park (1895). The Wesleyan Methodists had long had a church in Harwich and there was much enthusiasm when a piece of land was purchased at the top of Oakland Road in 1902. At a meeting in April 1903 it was decided to build a new church & chapel at hillcrest. Built by local builder, Edward Saunders. 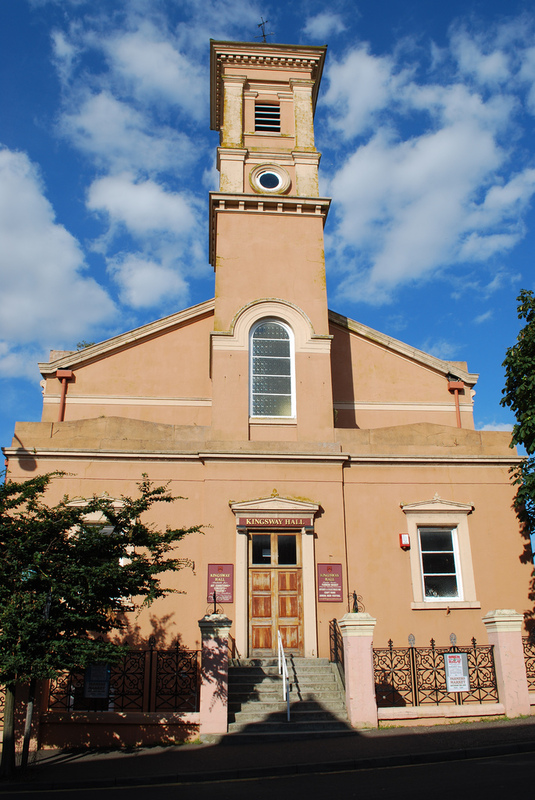 The new Wesleyan Methodist Church was opened by the Harwich mayor on the 22nd June 1905, at a cost of £1,960 to build it provided seating for 260. The church is a Gothic structure, made of red facing bricks and stone quoins, with windows of cathedral-coloured glass. The woodwork is of pitch pine. The rostrum is of a neat, but most effective, design. A large schoolroom was erected at the side of the building with spare land earmarked for extensions. 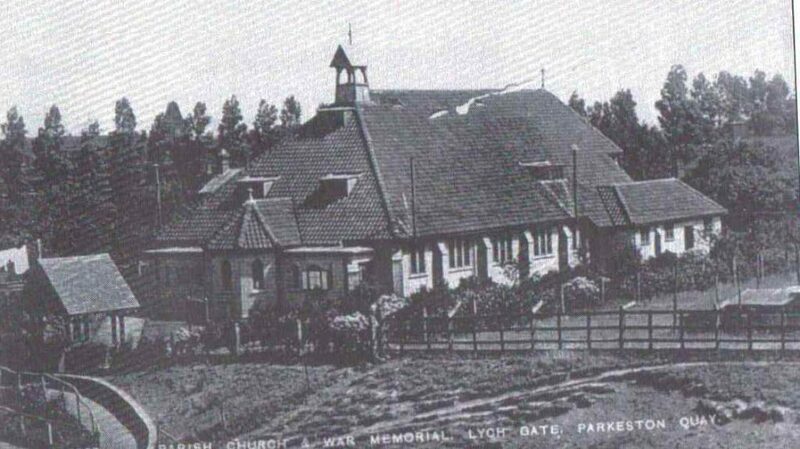 When the Primitive Methodist Church opposite Cliff Park closed, its congregation and Sunday school pupils transferred to Oakland Road. The message on the board epitomises the self-help ethos at the time when it says “subscriptions thankfully received”. The right reverend George Andrew Beck officially opened the new catholic church on the Fronks road site. The church opened on the 8th June 1955 having been built at a cost of £15,000. 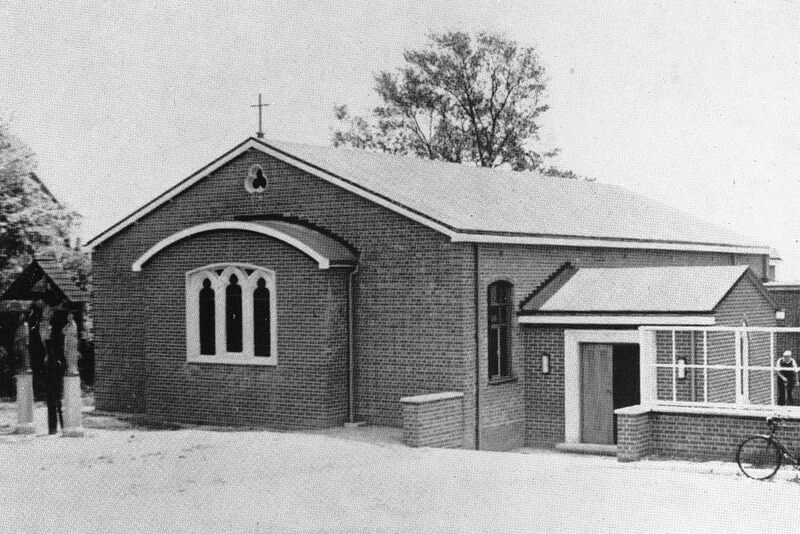 The first wedding ceremony was held in the new building on the 20th august 1955 A new church hall was completed alongside the church. The Statue of Our Lady was moved into the church from the Convent in Orwell Terrace as it closed. The church is of concrete portal frame construction, with a shallow pitched roof clad in felt. The exterior is faced in purple-coloured bricks laid in English bond. The entrance to the church is from the side, via a brick porch entered through a wide square-headed doorway with artificial stone surround. At the rear of the church is a raised area, incorporating the font , organ and a three-light window depicting Our Lord, Our Lady and St Joseph. 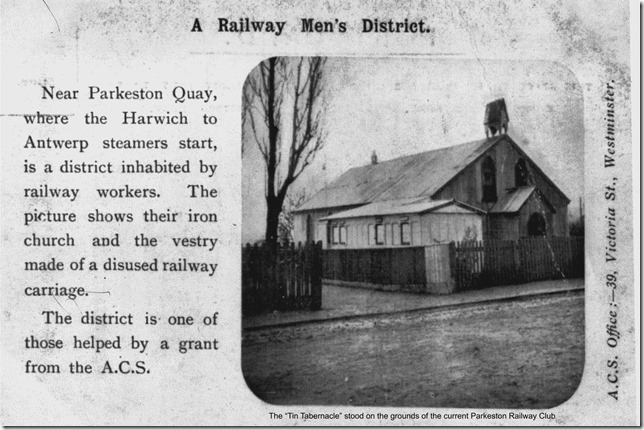 The railway came to Harwich over 150 years ago and eventually Parkeston was built by the railway.It was dedicated over 90 years ago on 31st October 1914 and being near the port has many Merchant Navy associations. St Paul is the Patron Saint of Travellers. Fisher & woods were awarded the contract to build a new church to replace St. Gabriel’s. The foundation stone laid by Lord Claude Hamilton on the 2nd of May 1914, the new 85 long building Costing £ 1,500 could seat a congregation of 350. A beautiful organ, the gift of three shareholders of the Great Eastern Railway Company in memory of those who lost their lives in the s.s. Berlin disaster, has been presented to Parkeston Church in place of an old American organ. The new instrument is a one-manual with six stops, and one octave of pedal pipes. A brass plate bears the inscription: “To the Glory of God, and in memory of those who lost their lives in the wreck of the s.s. Berlin, G.E.R. 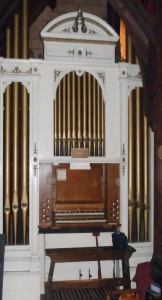 Feb. 21, 1907, this organ is given to Parkeston Church.” The dedication took place on Monday evening. Special prayers were said by the Rev. E. C.H. Pyemont, and an address was delivered by the Vicar of Harwich, the Rev. J. A. Telford, formerly priest in charge at Parkeston. At the conclusion of the service Mr. G. Mott, B.A., gave an organ recital. The organ was originally installed in St. Gabriel’s Church, but later moved to the new Church, St. Paul’s, which was built especially for the Railway Staff in 1914. The organ builder was Frederick Halliday from Highbury, London. It was later rebuilt by Rest Cartwright at an unknown date. In 1967 Bishop and Son restored the instrument and painted the classic case white with gold front pipes. St. Paul’s Church closed in 2014 and has now been sold. All the contents have to be removed without further delay, or risk being lost. Negotiations are in hand to try and save this historic instrument, which is part of the history of Essex and of the Great Eastern Railway. An article in the Chelmsford Chronicle of 22nd March 1912. The building still stands in Garland road with services held there regulary, built in 1887, the church cost £900 and had a capacity of about 200. There are several foundation stones laid and some interesting bricks which have initials on them. It was a trend at the time that local people were Invited to make contributions to the building fund, in exchange for a brick with their initials on. Other smaller Churches and Mission Halls. Grafton Road opened 1931, Main Road Tollgate and Dovercourt free church, Ashley Road, Dovercourt. Opened 1935. The Harwich Kingdom Hall opened 1972. Places of worship are part of our heritage and deserve better attention. In the past when life had fewer distractions people measured Church attendance on a weekly basis, but today regular Church going is often measured as those that go at least once a month. The ‘Army’ banner has flown in Harwich since June 12th, 1880. 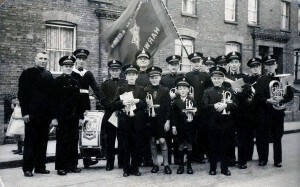 Local soldiers, adherents and members of the Salvation Army are proud of the fact that it is one of the oldest corps of the British Territory. The Army in Harwich were regarded as being a social nuisance with their noisy, often early gatherings, social misfits, attracting all the ‘wrong’ sort, and a social menace, blocking the paths and roads. many in the town were opposed to them for their own greedy reasons. The first meeting place of the corps was above a tailor’s shop, which was located at the corner of Market Street and King’s Head Street. It soon became nicknamed the ‘Glory Shop’. But they soon had to move into bigger premises because of a growing soldiers’ roll. 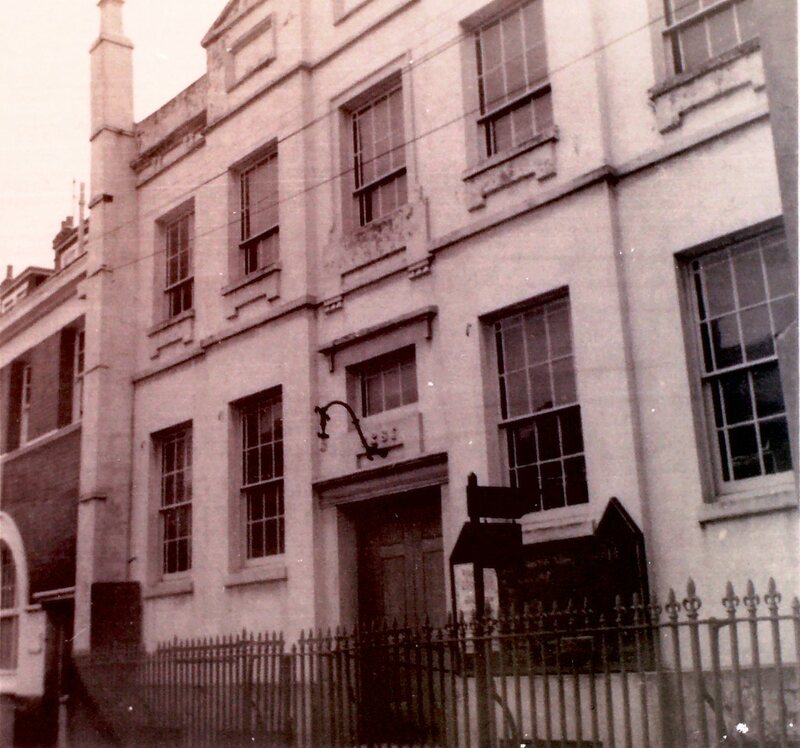 It thus acquired a building, formerly in West Street, previously owned by the Primitive Methodists. June 12th, 1880, saw a tall upright figure, wearing a black top hat, marching the corps up and down West Street, followed by a massive crowd which had collected to see the evangelist whom all England talked about. William Booth was in town to preach, present the corps with its first colours and moreover, to open the new Citadel, the same Citadel standing on the corner of George Street today. The Salvation Army was founded in London’s East End in 1865 by one-time Methodist Reform Church minister William Booth and his wife Catherine. Originally, Booth named the organization the East London Christian Mission. 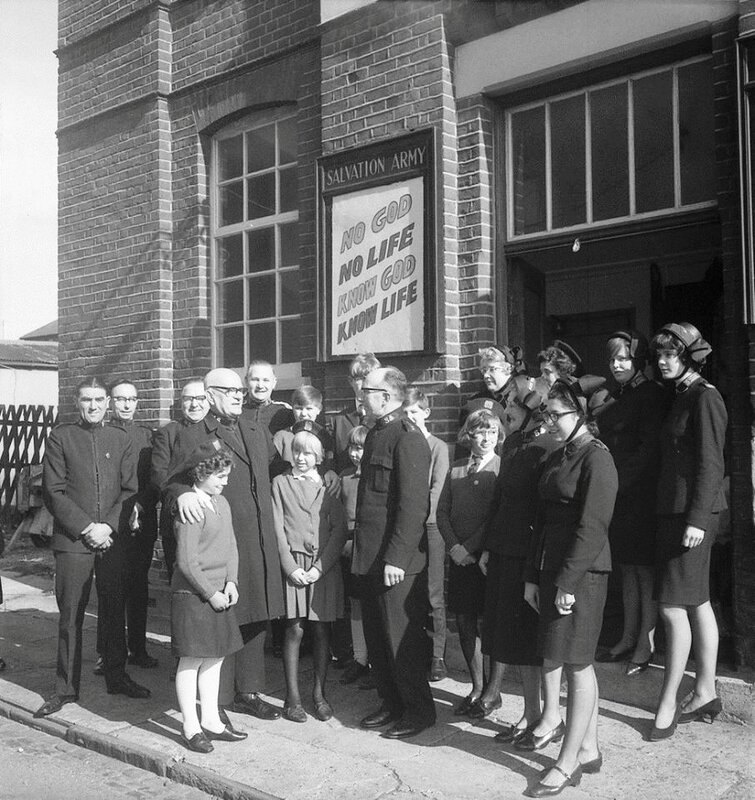 The name The Salvation Army developed from an incident during 19 and 20 May. William Booth was dictating a letter to his secretary George Scott Railton and said, “We are a volunteer army.” Bramwell Booth heard his father and said, “Volunteer! I’m no volunteer, I’m a regular!” Railton was instructed to cross out the word “volunteer” and substitute the word “salvation”. 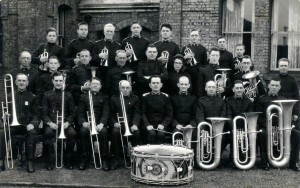 The Salvation Army was modelled after the military, with its own flag (or colours) and its own hymns, often with words set to popular and folkloric tunes sung in the pubs. Booth and the other soldiers in “God’s Army” would wear the Army’s own uniform, for meetings and ministry work. He became the “General” and his other ministers were given appropriate ranks as “officers”. Other members became “soldiers”. When William Booth became known as the General, Catherine is known as the “Mother of The Salvation Army”. William preached to the poor, and Catherine spoke to the wealthy, gaining financial support for their work. She also acted as a religious minister, which was unusual at the time; the Foundation Deed of the Christian Mission states that women had the same rights to preach as men. William Booth was born in Sneinton, Nottingham, the second son of five children born to Samuel Booth and his second wife, Mary Moss. Booth’s father was relatively wealthy by the standards of the time, but during William’s childhood, the family descended into poverty. In 1842, Samuel Booth, who could no longer afford his son’s school fees, apprenticed the 13-year-old William Booth to a pawnbroker. Two years into his apprenticeship Booth was converted to Methodism. He then read extensively and trained himself in writing and in speech, becoming a Methodist lay preacher. Booth was encouraged to be an evangelist primarily through his best friend, Will Sansom. Sansom and Booth both began in the 1840s to preach to the poor and the sinners of Nottingham, and Booth would probably have remained as Sansom’s partner in his new Mission ministry, as Sansom titled it, had Sansom not died of tuberculosis, in 1849. 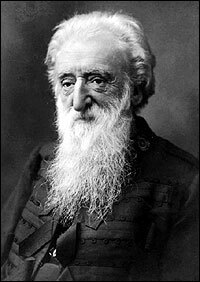 William Booth was 83 years old when he died at his home in Hadley Wood, London. At the three day lying in state at Clapton Congress Hall 150,000 people filed past his casket. On 27 August 1912 Booth’s funeral service was held at London’s Olympia where 40,000 people attended, including Queen Mary, who sat almost unrecognised far to the rear of the great hall. The following day Booth’s funeral procession set out from International Headquarters. As it moved off 10,000 uniformed Salvationists fell in behind. Forty Salvation Army bands played the ‘Dead March’ from Handel’s Saul as the vast procession set off. He was buried with his wife Catherine Booth in the main London burial ground for 19th century non-conformist ministers and tutors, the non-denominational Abney Park Cemetery in Stoke Newington. Harwich Salvation Army. Cadets’ Weekend. November 1956. The Salvation Army’s main converts were at first alcoholics, morphine addicts, prostitutes and other “undesirables” unwelcome in polite Christian society, which helped prompt the Booths to start their own church. The Booths did not include the use of sacraments (mainly baptism and Holy Communion) in the Army’s form of worship, believing that many Christians had come to rely on the outward signs of spiritual grace rather than on grace itself. Other beliefs are that its members should completely refrain from drinking alcohol (Holy Communion is not practiced), smoking, taking illegal drugs and gambling. Its soldiers wear a uniform tailored to the country in which they work; the uniform can be white, grey, navy, fawn and are even styled like a sari in some areas. The Salvation Army served at the frontlines in World Wars I and II – offering comfort and pastoral support to members of the armed forces. It was in World War I, that the famous Salvation Army “doughnut girls” or “doughnut lassies” served their first doughnuts. During major engagements, the girls worked at the field hospitals and set up rest centres for soldiers to write home to loved ones. They went to daily burial services of the doughboys they served and then went to pray over the graves of the enemies. 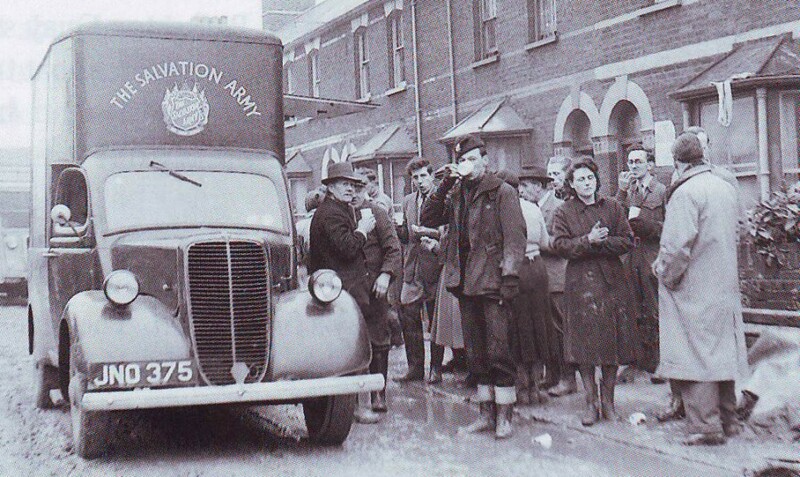 In the Second World War, Salvation Army volunteers worked in mobile canteens to support troops in the battles zones across Europe. Salvationists worked in hospitals and also held services for allied prisoners in internment camps in Europe and the Far East. On the home front, families affected by the Blitz or other bombings were supported with clothing, blankets and food. On the night of Saturday 31 January 1953 a severe storm coincided with a high spring tide in the North Sea, and the resulting tidal surge caused great devastation all along the east coast. The first soldiers out helping flood victims were not from the Regular Army but the soldiers of the Salvation Army. even today many hundreds have cause to be thankful for God having placed the Army in Harwich. A major operation was mounted to rescue as many people from the flooded areas as possible. Along the east coast of the UK, 30,000 people were evacuated from their homes. The Salvation Army were on hand to assist and provide hot drinks. As a worldwide Christian church, our message is based on the Bible; our motivation is the love of God as revealed in Jesus Christ. Inspired by our faith, we engage in a programme of practical action to serve the community, to help those who are suffering and in need, and to fight for social justice. While that need remains, an Army flag will fly over Harwich.